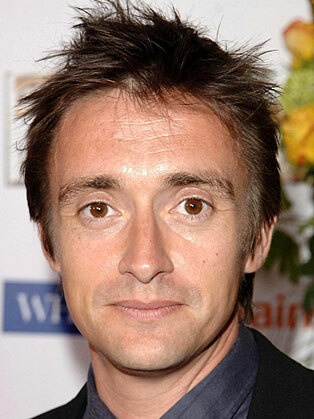 Richard Hammond is known for his co-hosting job in the car program Top Gear with Jeremy Clarkson as well as James May. He also presented the 1-4 series of Brainiac: Science Abuse on Sky1. Add to the aforementioned shows, Hammond also co-hosted Total Wipeout where Amanda Byram was his co-host. Planet Earth Live was also presented by him and also Julia Bradbury. After graduating from Harrogate College of Art and Technology, he started working for a few radio stations such as Radio Newcastle, Radio Cleveland, Radio Lancashire, Radio Cumbria as well as Radio York then he decided to audition for Top Gear. It was in 2002 when Hammond became Top Gear’s presenter when the show started in its current format. Hammond earned the moniker “The Hamster” through his co-presenters as well as fans because of his small physique. He presented the Crufts dog show in 2005, the 2004 and 2005 British Parking Awards, and has appeared on School's Out, a quiz show on BBC One where celebrities answer questions about things they learned at school when they were younger. He even hosted the UK Version of "Total Wipeout", also hosted "Sports Relief 2008", hosted his own show "Richard Hammond's Crash Course" and hosted the special "50 Years of Bond Cars", where he interviewed Goldfinger, Diamonds Are Forever, Live and Let Die and The Man with the Golden Gun director Guy Hamilton, Sir Roger Moore who played James Bond from 1973 to 1985 and current James Bond actor Daniel Craig. In 2015 Hammond declined to renew his Top Gear contract with the BBC following Jeremy Clarkson's departure from the show, paving the way for an all-new line-up. Alongside James May and Jeremy Clarkson, Hammond will be co-hosting a new car show available exclusively to Amazon Prime customers in 2016.